For some odd reason, imminent showers (of the meteorological sort) send me reaching for the more classically feminine scents. 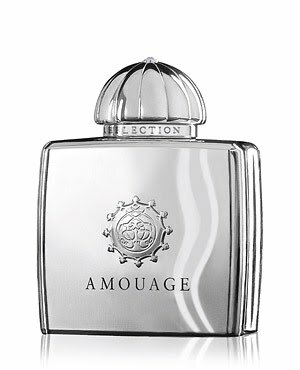 Of late, I’ve been taken with Maurice Roucel’s Reflection Woman for Amouage, which contains arguably one of the most perfectly executed magnolia notes in all of fine perfumery. I guess it apropos before my reviews of the new heavy-hitters, Epic Man and Epic Woman, to contemplate a fragrance drawn with a lighter hand. Reflection Woman, true to its name, has a wateriness that endears it to me almost immediately. Like the scent of my mother’s skin after her morning swim in the pond. Except that the pond was northeastern, and I never once got to smell the magnolia – a real Southern thing – until I was bigger. After all, magnolia is one of the hardest scents to recreate in the laboratory. It is at once delicate and sensual, fragile and carnal. In some instances, it can be cloying and almost cheap. But, sharing molecules with jasmine and muguet, its sweetness marries the skin in a demure, human (never showy) fashion. In Reflection Woman, the jasmine is linked to ylang ylang, lending the scent tenacity and a better-than-decent sillage. Roucel’s trademark note, michelia alba (a tropical magnolia) is shown off better here than in any other fragrance carrying his signature. Reflection Woman is the epitome of a wearable, polite fragrance – but never pedestrian. It has the pedigree of a Hepburn crossed with a Vanderbilt. It doesn’t need to button itself up when the clouds gather. It is alive. It sings in the rain. I'm way behind in my Amouage-sniffing. As an excuse I can add that they only became easily available in Paris a couple of months ago at the Galeries Lafayette. Adding Reflection to the list -- very curious about the magnolia, which will be interesting to compare to the new Acqua di Parma Magnolia Nobile. CC, this is VERY different from the AdP. This is cool limpidity, with an extremely aqueous quality. I find the AdP to be very pretty- with the emphasis on pretty; for me, it was a very sweet floral. Zero edge there- nothing risked. it is elegagant, exactly like Hepburn. And it garners many compliments. D. and Chaya, I'm anxious to sample the AdP Magnolia Nobile but not because of its sweetness -- it comes more from relief that a notes like magnolia and iris are interesting noses rather than the insipid strawberry fizz of so many mass-market scents. Jasmine Too Girly for a Guy?